I have a new favourite candle and it's perfect for new beginnings and the start of the year. 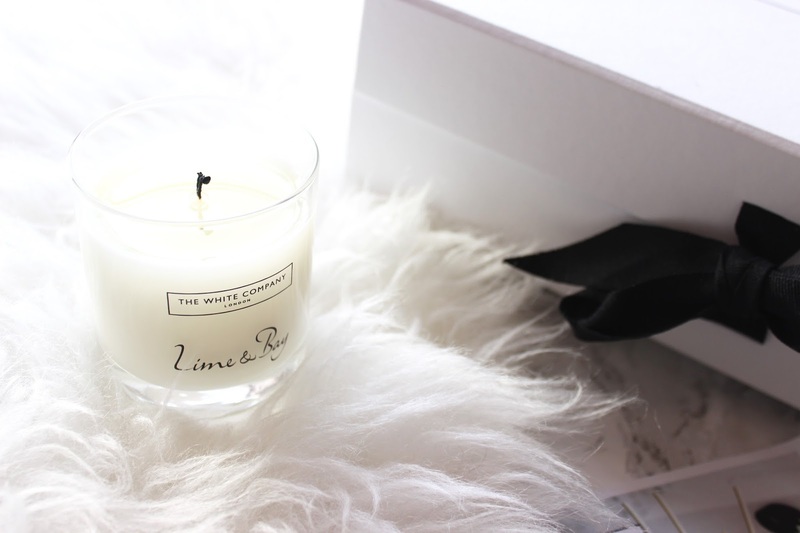 The candle is part of the latest release from The White Company, the Lime & Bay collection. 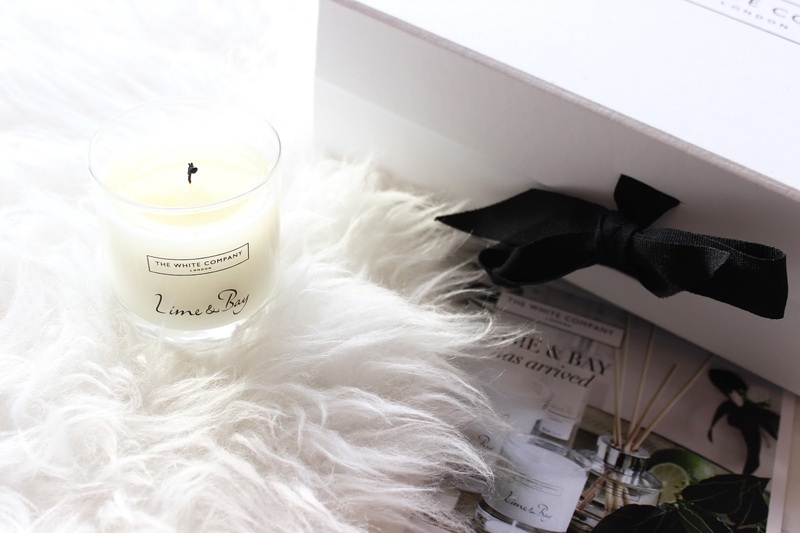 I love The White Company candles as they really throw out an amazing amount of scent even when unlit and fill the whole room with beautiful fragrance. I think fresh scents are perfect for this time or year as they almost feel like your cleansing your house for the new year. The candle contains notes of exotic mandarin, pink grapefruit, bergamot, orange, lime and lemon along with jasmine buds, lime blossom, gingers, crushed bay leaves and warming patchouli. The concoction of fresh fruits is what make this scent so unique and beautiful then the bay leaves, bergamot and patchouli add a level of depth and muskyness. The range contains the Signature Candle (shown above), a Large Candle with 3 wicks, a set of 12 tTa Lights, a diffuser and Room Spray. 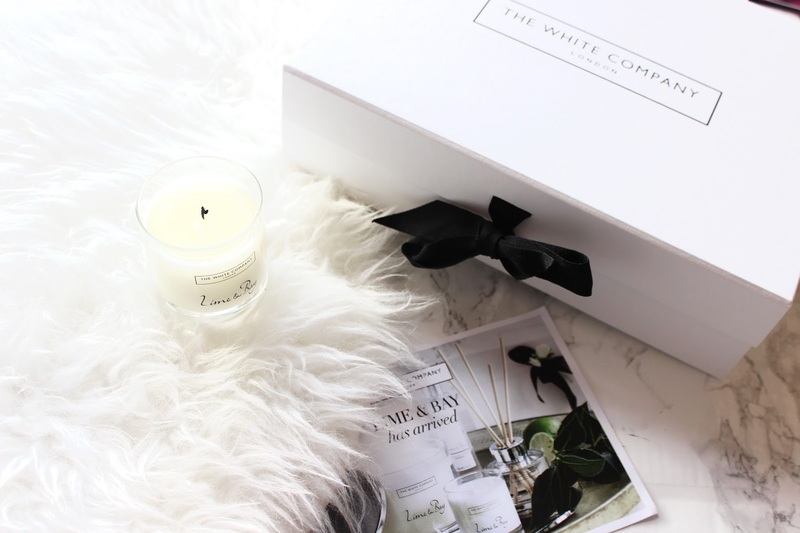 I've tried all of these products from The White Company and they all last the longest time and are great value for money. This scent sounds delicious, I love The White Company! I've never tried a candle from The White Company before but may have to make this my first purchase - I'm a big fan of lovely, fresh scents!